Three youth basketball teams competed in weekend tournaments in St. Thomas and Orlando, Florida respectively. 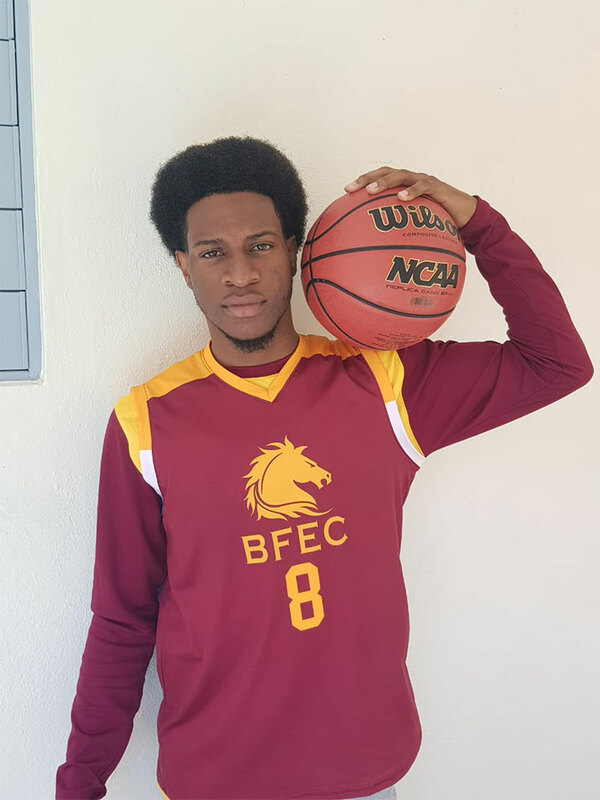 Stephano Paul had a game high 22 points and seven rebounds against the Ivanna Eudora Kean Devil Rays, during a 72-50 loss on Thursday, in the Antilles Invitational Basketball Tournament. BFEC shot 52.6% from the field, but turned the ball over 34 times, leading to 21 Devil Rays points. Paul had 18 points and pulled 12 off the rack, in the Arabians’ 42-38 victory over VI Montessori. Kahmani Caul dropped in another 10. Paul finished with 20 points and 11 rebounds against St. Croix’s Free Will Baptist, during a 51-40 loss. Keishon Gardner dropped in 12 points with four rebounds. The Charlotte Amalie High School Chicken Hawks tamed the Elmore Stoutt High School Lady Rams, 29-25. Mahkayla Pickering led the Lady Rams with 16 points. Claury Scatliffe added five and Kiara Woodley, four. Pickering followed up with 14 in Saturday’s 35-29 setback to the Chicken Hawks. Woodley contributed six points and four rebounds to the tally. Chakia Smith tossed in five and Scatliffe added another four to the stat sheet. At the TNBA South King of the Spring Basketball Classic on Orlando, the Sea Cows Basketball Club’s BVI Ballers began their 25thanniversary tour on Friday night with a 59-54 victory over South Gottfried. Stephan DeLeon led the BVI Ballers with 18 points. Malaki Smith added 11 with six rebounds and Jason Audain 10. Jamar Thomas chipped in another six points. They fell to the Duval Devils, 58-38 on Saturday. DeLeon was the leading scorer with 13 points and four steals. Aaron Williams III, finished with eight points and five rebounds. Smith dropped in six and Zachariah Jackson, four. On Sunday, the BVI Ballers battled with the Florida Sharks through a 31-31 score, before the surrendered 52-45. Williams III paced the scoring with 18 points and seven rebounds. Smith dripped in 12 points and four rebounds, DeLeon 10 and Audain, five.